Los Angeles Rams head coach Sean McVay is widely considered one of the most innovative minds in the NFL today. However, it appears he has taken a page out of the Kansas City Chiefs’ book of plays. It is no secret that NFL coaches often borrow different plays and schemes from each other. After all, it is bound to happen considering all their countless hours of watching film. Reid is arguably among the most imitated offensive coaches in the NFL. However, McVay’s willingness to admit just goes to show the respect he has for the veteran coach. There is no question that Reid’s approach is a proven system. 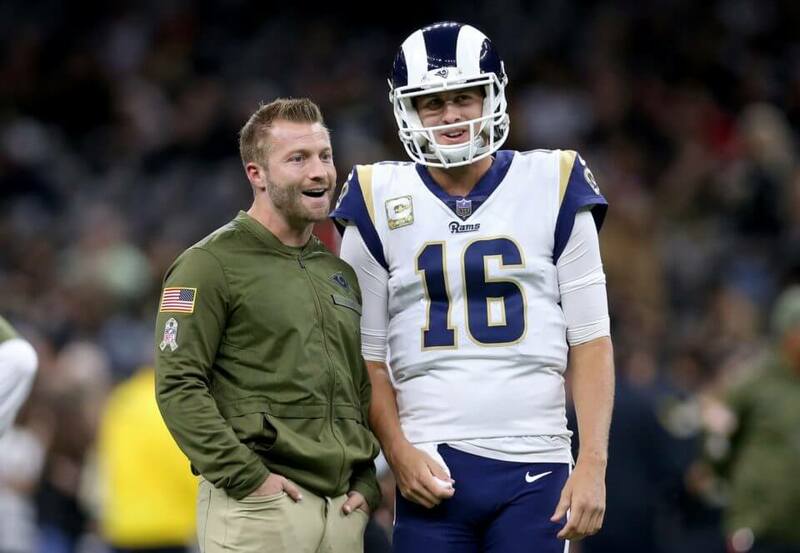 It is easy to see why McVay has paid such close attention considering all of the similarities between these two teams. Last year, it was Jared Goff that took the league by storm with his stellar play. Now Kansas City has been able to kick things up a notch with the emergence of Patrick Mahomes. Both the Rams and the Chiefs currently rank top-three in the league in scoring. That said, this week’s showdown is expected to be a shootout of epic proportions.